Whether to go in for plastic surgery or not is a big decision that takes a lot of thinking. Once you have decided to go in for the surgery, the next big huddle in your way is finding the right cosmetic surgeon. It takes a lot of effort and time to do the inquiries to find a reputable cosmetic surgeon. You can get started by finding out if the cosmetic surgeons that you are considering are board certified or not. We tell you how to go about finding out if your cosmetic surgeon is board certified. The only board that certifies all cosmetic and plastic surgeons is the American Board of Plastic Surgery. Before certifying a surgeon, the board extensively tests the knowledge of the surgeon and his experience in the field. A surgeon needs to have six years of training in the plastic surgery program along with surgery experience before the board can certify him. 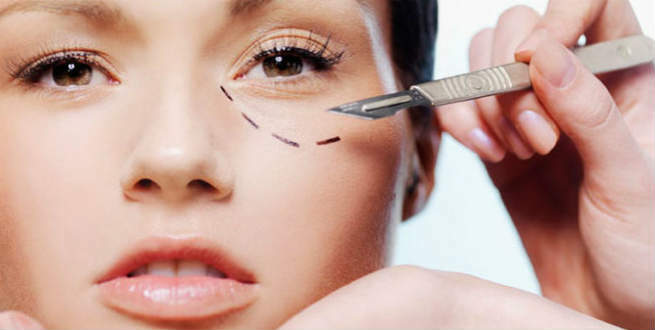 Since plastic surgery is a very lucrative field with a promise of a lot of income, many professional doctors, who are not trained to be plastic surgeons make a switch to the field. While they might have experience in other surgeries, they certainly will not be equipped to perform a plastic surgery as well as a surgeon with wide experience can. There are also cases where “doctors” without medical training start cosmetic surgery centers which lure in people with their big promises. Visiting such facilities can result in a botched up job that you will only regret later. If you want to avoid such situations, then the best thing for you to do is to look for a reputed cosmetic surgeon who has a board certification. How to find out if your cosmetic surgeon is board certified? The American Board of Plastic Surgery has a user friendly website that you can visit. Once you have a few surgeons’ names shortlisted for your prospective surgery, you can verify if they are board certified. You could key in the last name or first name of the surgeon, along with his/her state. Once you do so, after verifying that you are human with a captcha, you will be able to verify the details about the plastic surgeon. If the plastic surgeon is board certified, then you will be able to find his full name, followed by his certification status, when it was obtained and the duration for which his certification is valid. You can also find the address of the plastic surgeon listed among the details. If there are no records found for the surgeon in question, then it means that the surgeon is not certified by the board. In case you do not have a list of shortlisted surgeons but want to know the names of board certified surgeons in your city, simply key in your city and state in the form. You will get a complete list of board certified plastic surgeons in your city along with their contact details. What better way to find the right cosmetic surgeon for yourself? So if you are considering a cosmetic surgery, then make sure to do this simple exercise of finding out if your cosmetic surgeon is board certified.